There was one question left in the minds of many following Ohio State’s 62-39 win against Michigan. Where has this Ohio State team been all season? In a season that has seen the Buckeyes ranked as high as No. 2 and as low as No. 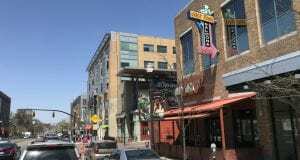 10, where they stayed for four straight weeks, most of the year has been underwhelming. But then “The Game” happened, and now the Buckeyes are potentially one big win away from sneaking into the College Football Playoff. So where has this team been? Head coach Urban Meyer has taken a similar view throughout most of the season, saying more than once that his team is nowhere close to where it needs to be on the way to an 11-1 record and a chance at the Big Ten title. But 11-1 isn’t the whole story. 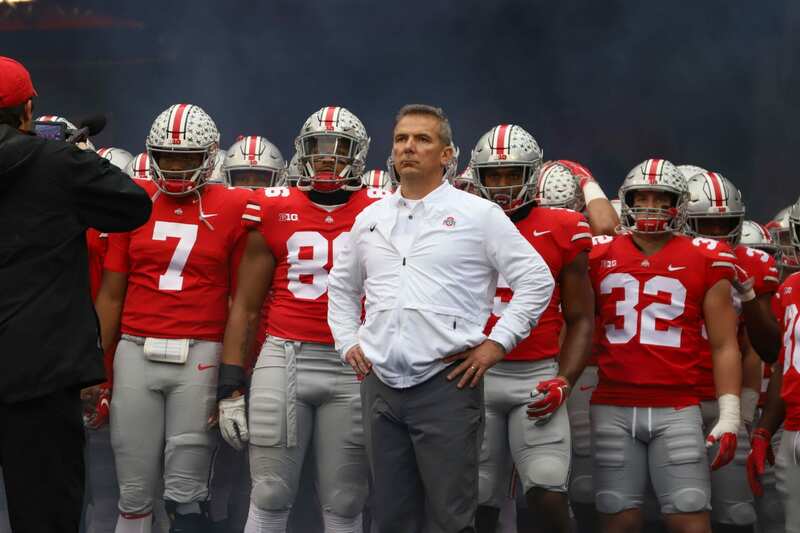 There have been games that made Ohio State look like it should have been kicked out of the top 25, as well as moments of hope that the Buckeyes could compete for a national title. These are the bad times. In this trio of games, all against opponents with six wins or fewer, Ohio State looked uneven, underprepared and unlikely to improve. The defense has been the biggest lapse, allowing an average of 43.7 points per game, 12 plays of 30 yards or more and at least 450 yards of total offense in the three worst games of its season. Most of the time that the defense has struggled, it has been against a player on the offense who was expected to play well. Purdue freshman wide receiver Rondale Moore ran rampant against Ohio State for 170 yards and two touchdowns on 12 catches, which was plenty to take down the then-undefeated Buckeyes. Maryland redshirt freshman Anthony McFarland ran for 298 yards and scored twice in the 52-51 overtime loss. McFarland was one of many Terrapin running backs, so sure, he specifically wasn’t expected to play that well. But Ohio State failed to adapt its defense at all to the run-dominant Maryland offense, and it nearly gave the Buckeyes its second loss of the season. 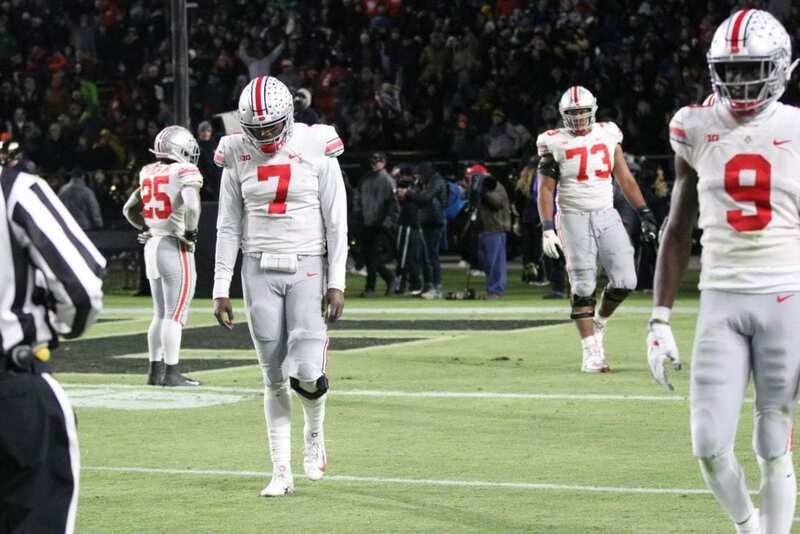 The defense has been a question mark, even in some of the better games Ohio State has played. But on offense, especially in lackluster play against Purdue and Nebraska, the pass and run games could not find a way to work together. The loss to the Boilermakers was the second straight game the Buckeyes failed to run for 100 yards. In the following matchup against the Cornhuskers, redshirt sophomore quarterback Dwayne Haskins completed 56.3 percent of his passes, his lowest percentage of the season. These “bad” games all felt like Ohio State was playing down to its opponents while emphasizing the glaring issues that the team has on defense when it is exploited. Unlike the bad, Ohio State’s good side has not come out very often. The Buckeyes have played a complete game of football twice this season, once against 1-11 Rutgers and the other against the No. 1 defense in the country in Michigan. In both instances, the Ohio State defense played at a high level. Maybe not at the level of the top defenses in the country, but certainly enough to let Haskins run the offense without worry. Ryan Day, either as acting head coach or as offensive coordinator, has made his dent in these games with smart play-calling to exploit the weaknesses in the defenses. Against Michigan, crossing routes took advantage of the man defense, and in the final moments to beat Penn State, Haskins used screen routes to drive 96 yards in fewer than three minutes. The weaknesses against Rutgers were, well, everything, but the Scarlet Knights have played other teams close, including losses by less than one score to Northwestern and Michigan State, as well as a 13-point defeat to the Nittany Lions. Ohio State left no doubt in the 52-3 thrashing of the Scarlet Knights but left plenty in the 27-26 win against Penn State. For 52 minutes, the Buckeyes showed more weaknesses than strengths but brought it together for eight impressive minutes to overcome a 12-point deficit and stay undefeated. But when looking at the competition and overall game play, Ohio State had one game to show what it is capable of doing, and that was against Michigan. The offense showed ability both in the air and on the ground, and the defense brought the most pressure it has since junior defensive end Nick Bosa left with an injury against TCU. The linebacker play was dramatically improved, and, while 39 points is high, over half came in the fourth quarter with the game already in hand. Which Ohio State team will show up against Northwestern? Momentum would say the good one. The Michigan victory was the best Ohio State has looked all season, and the matchup against the Wildcats is of equal importance if the Buckeyes hope to make the playoff. But Northwestern’s ability to make games close could force Ohio State back into its negative tendencies, and it should not be overlooked how much the Buckeyes prepared for the Michigan matchup. Specifically, defensive coordinator Greg Schiano said 364 days of preparation go into that game. Ohio State might have moved on from being the team that lost to Purdue by 29 and took five-win Maryland to overtime. But the Buckeyes might also not be the same team that beat the Wolverines come time for the Big Ten Championship. As has been the case for every game this year, the Ohio State team that shows up on Saturday will be a toss-up. But the Buckeyes are trending up at the right time, and if they can repeat their game from this past week, they have a legitimate chance of making the playoff for the third time in program history.